Breast enlargement by fat grafting is an emerging trend. Dr. Richard Buckley comments about the fat transfer procedure, its results and the precautions one should consider before surgery. The Yahoo! article cited stats to back the claims. One that stands out, according to Dr. Buckley, is that cosmetic surgery demand among men escalated more than 325 percent since 1997. Other telling statistics is that male breast reduction for gynecomastia increased 26 percent between 2014 and ’15, alone. The top cosmetic surgical procedures among men in 2015 (the most recent year for the statistics) are: liposuction, nose surgery, eyelid surgery, male breast reduction and facelift. “Liposuction is one of the most popular surgical procedure among men and women, but men tend to want to address different body concerns,” Dr. Buckley says. “Often, they want love handles permanently removed, which many think contributes to a ‘dad bod.’ Some men are augmenting what they do in the gym with cosmetic surgery that further defines their muscles and shape.” While there may be a little downtime associated with high-definition body sculpting, which can reduce unwanted fat and etch tone into the body, there are fat-removal options today that result in little to no downtime, such as CoolSculpting, Dr. Buckley says. The cosmetic surgery stigma (that it’s something women do and men don’t do) seems to be history. In fact, men are having most of the same procedures as women, including tummy tucks, fat transfer, neck lifts, fillers, Botox, lasers and much more. Neck lifting has become less invasive, with tissue tightening devices, such as Ultherapy, which uses highly focuses ultrasound energy to lift and tighten skin around the neck. “The nonsurgical options are particularly popular with my male patients,” Dr. Buckley says. “It’s important, however, that males seek out a cosmetic surgeon who has experience treating male patients. 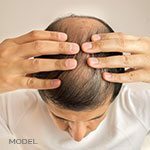 For example, male skin tends to be thicker than women’s skin, so we need to take that into consideration when using neuromodulators to relax facial dynamic wrinkles, as well as when we use fillers to rejuvenate the face.” Botulinum toxin injections, including Botox, Dysport and Xeomin, ranked number one among nonsurgical cosmetic choices among men. 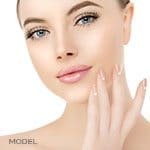 Fillers, including Juvéderm Ultra, Ultra Plus, Voluma, Perlane, Restylane, and Belotero, came in second, followed by hair removal, photo rejuvenation (with intense pulsed light, or IPL) and nonsurgical skin tightening. 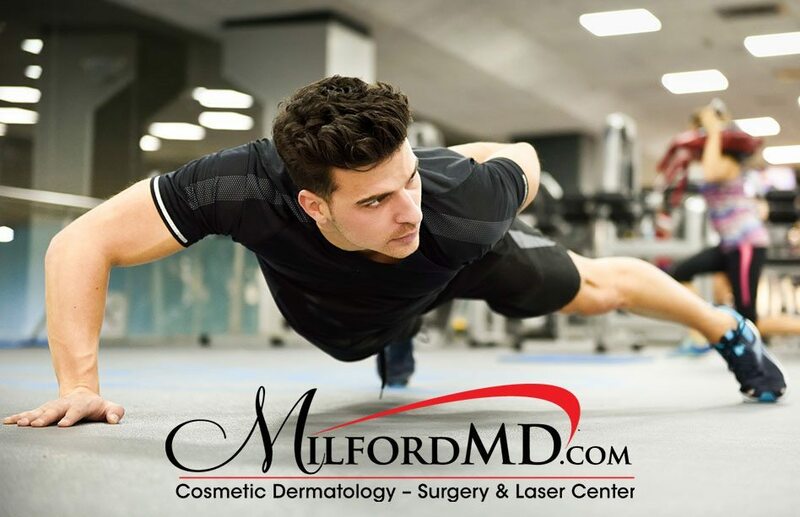 Men make up about 10 percent of the patients at MilfordMD, and Dr. Buckley expects that percentage will increase with time. “As more men learn about their options and that cosmetic surgery doesn’t have to mean missed work and play anymore, I expect demand will continue to rise. After all, 50 is the new 30. Men want to look as young as they feel,” he says.